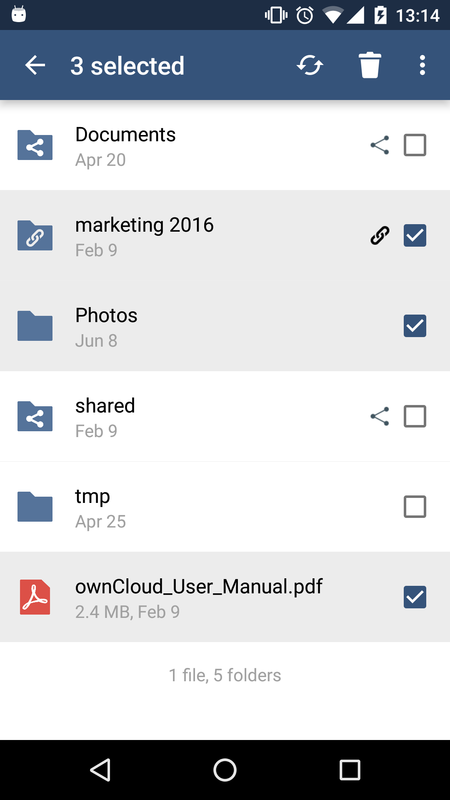 Last week we published a new update of the ownCloud Android App, version 2.1. This latest release has some new features that deserve a special mention. 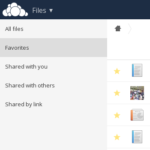 No more handling files one by one. 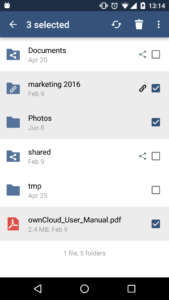 Long press a file in the list and enjoy the contextual mode, where you can click as many files and folders as you want to apply an action to all of them at once. Find the actions available in the top bar, both in the icons visible and after the three-dots menu on the right corner. You will see only the actions that are possible for your selection. 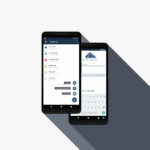 With the contextual mode you can apply the “sync” action to multiple files at once, but you will never need to do it again on a single file to be sure you are watching the last version – just tap on the file to preview it, and the file will be synced immediately!. If a new version is available in the server side, the current local version will be previewed while the newer is downloaded. See the subtle progress bar immediately below the top bar to know how long you’ll have to wait. And if the file is too big and this is just not the right moment, cancel the transfer with the cross icon on the top bar. You have the control. Last but not least, the app finally includes an implementation of the Documents Provider API. 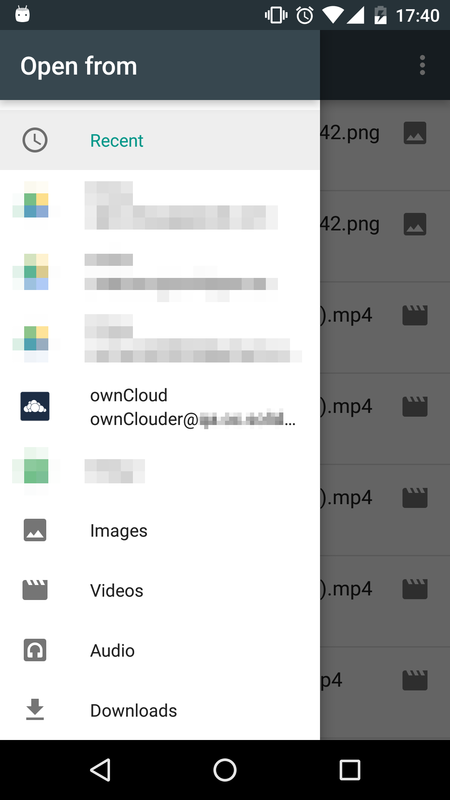 This allows other apps browse and get files from your ownCloud account through the standard file browser added in Android 4.4. Even better, if you pick a file that was never downloaded before, the transfer will start without needing to open the ownCloud app, and then served to the external app when the download finishes. We are not done with this yet. 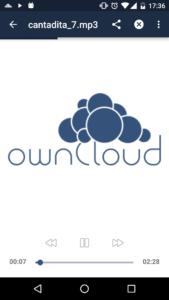 Get ready for much more improvements in next releases, especially in syncing with your ownCloud server. 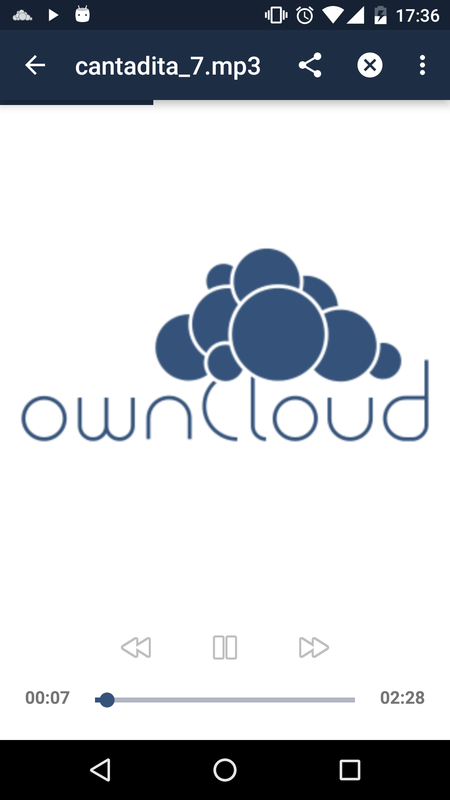 Join us at ownCloud Central to tell us what else you would love to see, and take a look here to know what we are working on.